Houston Dash has waived Irish International Denise O’Sullivan, the club announced on Wednesday, bringing their current roster to 18. O’Sullivan played 11 matches for Houston in the 2017 season managing one assist in the match against Washington Spirit on April 29th, one year on from making her debut for the club. Houston Dash has continued their phenomenal, and surprising, run of form as they managed a 1-1 draw with Portland Thorns FC at BBVA Compass Stadium on Saturday night. It took just eight minutes for Houston Dash to open the scoring as Janine Beckie opened the scoring early in the match. Nichelle Prince found Rachel Daly at the edge of the box allowing her to cross for Beckie who was able to bury it from the spot for her first goal of the season. Houston Dash has finally hit some form, as they came from behind to score just their third road win of the season as they beat FC Kansas City 2-1 on Sunday. FC Kansas City opened the scoring in first half stoppage time through a Shea Groom goal, her first of the year. Chrstina Gibbons’ ball in to the box fell for Groom who was able to get a shot past Jane Campbell at the far post to make it 1-0 at the break. Houston Dash has announced on Tuesday the appointment of Omar Morales as the interim head coach for the remainder of the 2017 National Womens’ Soccer League (NWSL) season following the departure of Randy Waldrum. “It has been an interesting 10 days or so. I’m extremely excited about the opportunity and just ready to get working and try to get this ship turned around with the team – push the girls to get better every day.” Said Morales in a conference call. In the process Houston Dash has made history as Morales is the first ever Latino coach in league history. Morales has already made his coaching debut with the Dash as he managed the team through their match this weekend against Washington Spirit on Saturday. 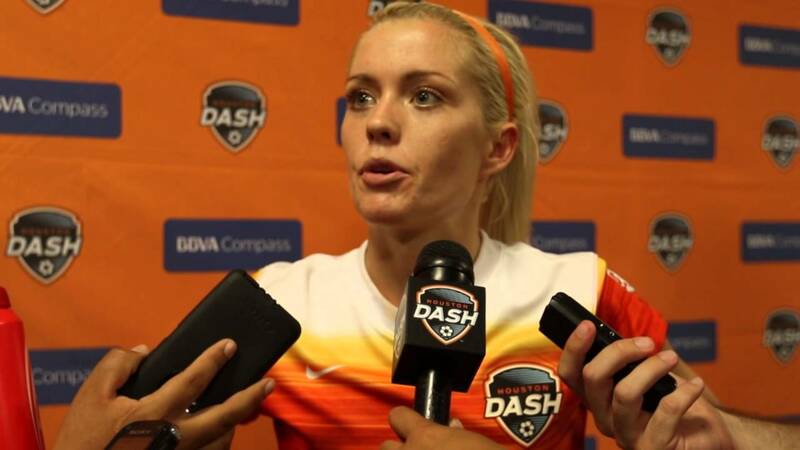 Houston Dash has managed their first road win of the year as a Kealia Ohai managed a 1-0 win over Washington Spirit at Maryland SoccerPlex on Saturday afternoon. That goal came in the 28th minute after a pass from Denise O’Sullivan on the left wing, creating space for Ohai. She made a good run along the sideline, allowing him to cut inside. Creating space in the box, allowing her to beat Stephanie Lebbe with a shot at the far post.